The Year 10 Food Preparation and Nutrition class have been entered into a national cookery challenge run by The Food Teachers Centre. 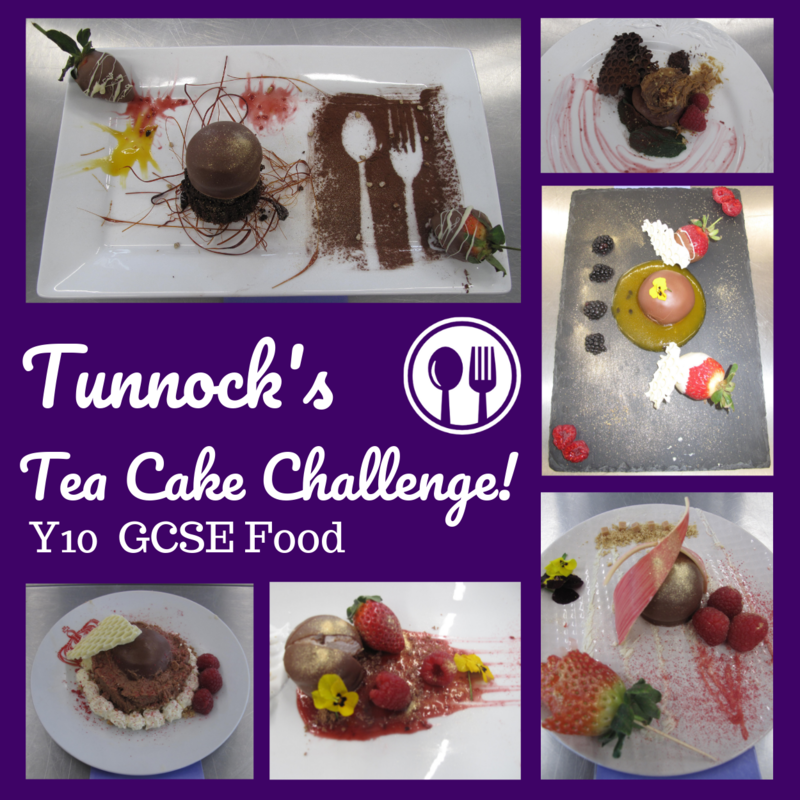 The challenge was to take one Tunnock’s Teacake and plate it up, showing as many technical cookery skills as the students could manage within a set time. The challenge was on! They were given a teacake each. The students had to bring in presentation plates and extra ingredients. Mrs Vaughan provided some basic ingredients and extras such as glitter food spray, fresh herbs and edible flowers from her garden. The students rose to the challenge and it was a difficult decision to choose the school entry for the competition. Unfortunately only one entry per school is allowed and therefore, Cranbourne’s entry for this current year is Owen Eccott.